A large 20m2 Deluxe self-contained studio room with double bed, under-bed storage, wardrobe, chest of drawers, study desk and kitchenette. The studio en-suite is fitted with a shower and bath or just a shower. A spacious 25m2 Deluxe self-contained studio room with double bed, under-bed storage, wardrobe, chest of drawers, study desk and kitchenette. The studio en-suite is fitted with a shower and bath, or just a shower. Will let rooms individually. 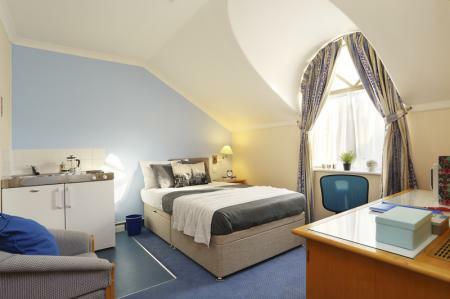 Two large double rooms in a lovely top floor two-bedroom apartment with a shared kitchen and bathroom. 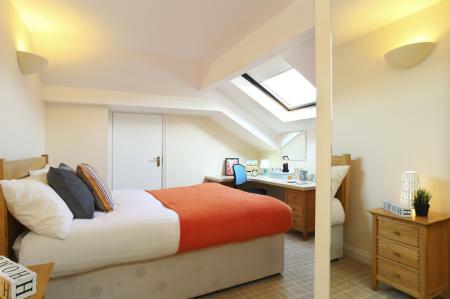 Rooms are let at £135.00 pw and £145.00 pw, ideal for sharers.